WELCOME TO JC PERFORMANCE HORSES! Our goal is to offer solid performance horses at an affordable price. 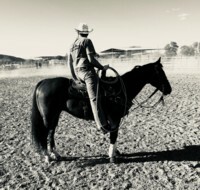 As "lifetime" horse people, we offer a "lifetime" of experience to help guide you through the time consuming and often frustrating experience of buying a horse. 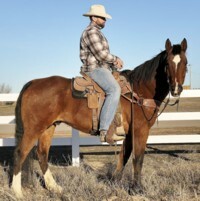 We have bought, sold and rehabilitated hundreds of horses and we have experience in all phases of the horse industry. Let us put our experience to work for you when it comes to your next equine purchase. We can help you find the RIGHT horse for the RIGHT price. With low overhead and no expensive add-ons, we can offer quality at a fair price to our customers. We travel to all the major sales and we buy 'em right. We know what a horse is worth, the trends, the truth and the bull - we deal with it everyday. 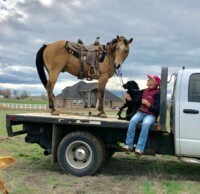 We specialize in honest trail and pleasure horses as well as horses for people who still make their living in the saddle -- be it roping, steer wrestling, or getting the cattle sorted and branded. We have many satisfied clients across the West. Check out our sale horses and drop us a line to find your new ride. We are currently accepting horses for training. 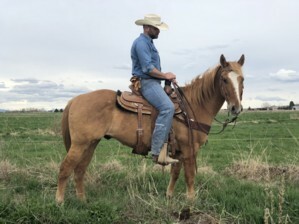 Your horse will be trained with patience and care for easy and safe riding. 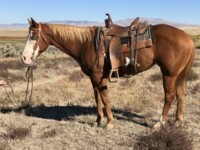 We also fit horses for sale and we offer boarding services. Contact us for prices and programs. To view videos of our horses performing visit YouTube and search JC Performance Horses or visit our channel jjogiles1. 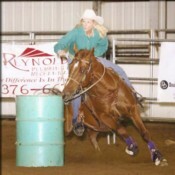 Watch for JC Performance Horses at these events, barrel races, and sales. Look us up. We would love to talk with you. April 3 - May 29, 2019 - Barrel and Pole Practice. 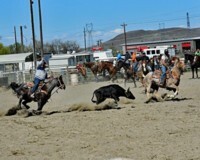 JC Performance Horses, 4 - 8 pm 3924 Green Lane, Kuna, Idaho Call 208 891 9363 to reserve a spot.